"The location of the hotel was good." Have a question for Meson Castilla Hotel? "The size of room was good." "Reception staff very friendly and professional." 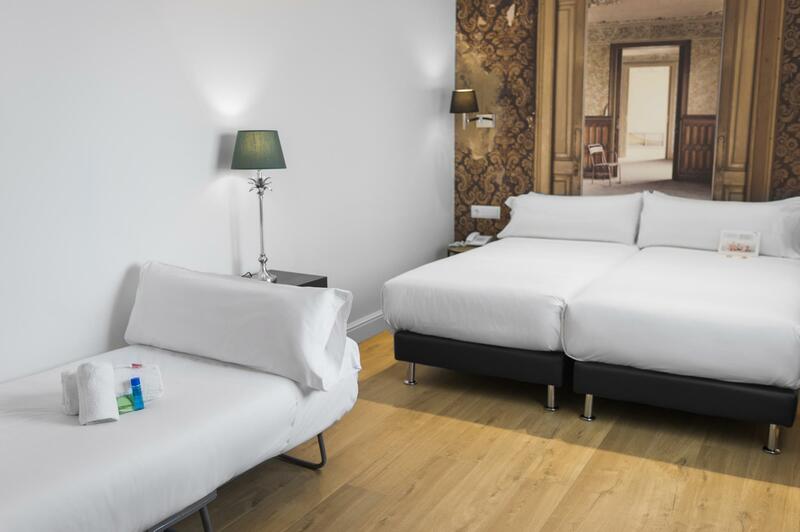 This economy class hotel, situated on Valldoncella Street, is located a few minutes from Plaza Catalunya. The Auditorium, the Sagrada Familia Cathedral, and the Olympic Village as well as beaches are within close proximity. Guests will have easy access to the Ramblas and Plaza Real as well as a multitude of fascinating cultural and historic sites. Meson Castilla Hotel is also within a close proximity to shopping, dining, and entertainment venues. 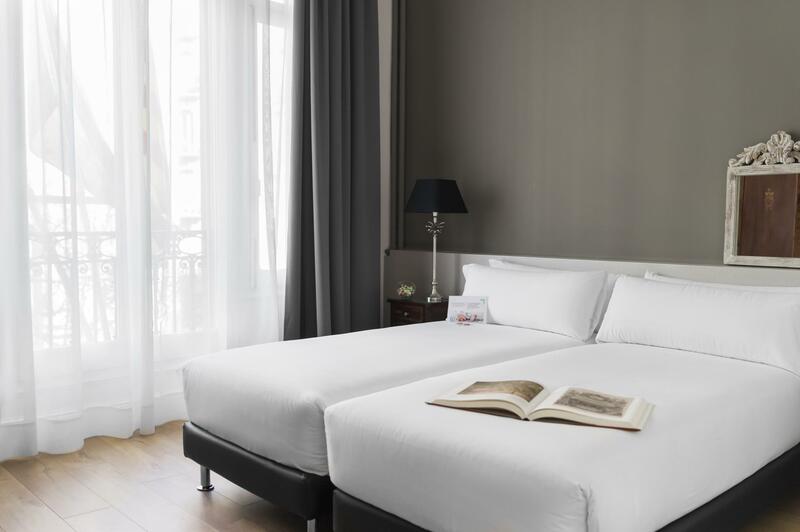 The hotel boasts 56 guestrooms decorated in a fashionable European fusion theme that is relaxing. The onsite breakfast room is the perfect place to have a quick meal before a day of exploration. 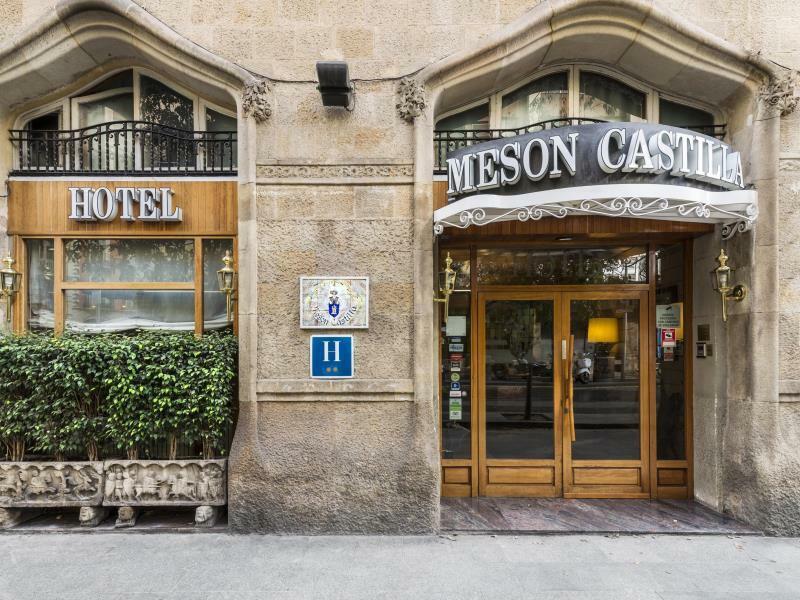 Meson Castilla Hotel is ideal for travelers that want affordable accommodation. "Breakfast very good nice relaxed atmosphere ." The location of the hotel was good. The Room was clean. The size of room was good. Beautiful interior.very comfortable.Breakfast very good nice relaxed atmosphere .Room a little small but more than adequate .Exceptional value for money.Location amazing.Barcelona is Stunning!!! Three good days of visiting places we love, and seeing friends. My partner and I stayed here this week and were very happy overall with our stay. 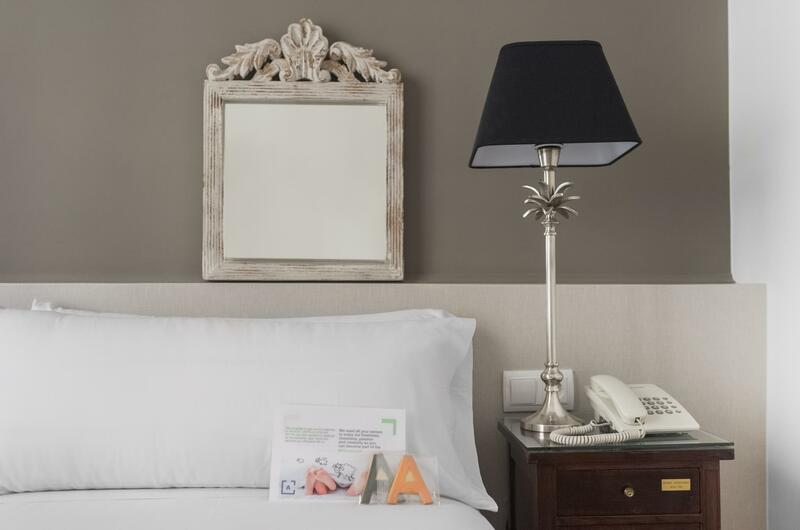 The hotel is situated very close to La Rambla ( 5 min walk) and The Gothic Quarter (10 - 15 min walk) and is surrounded by lively restaurants, bars and shops for all tastes and wallets. 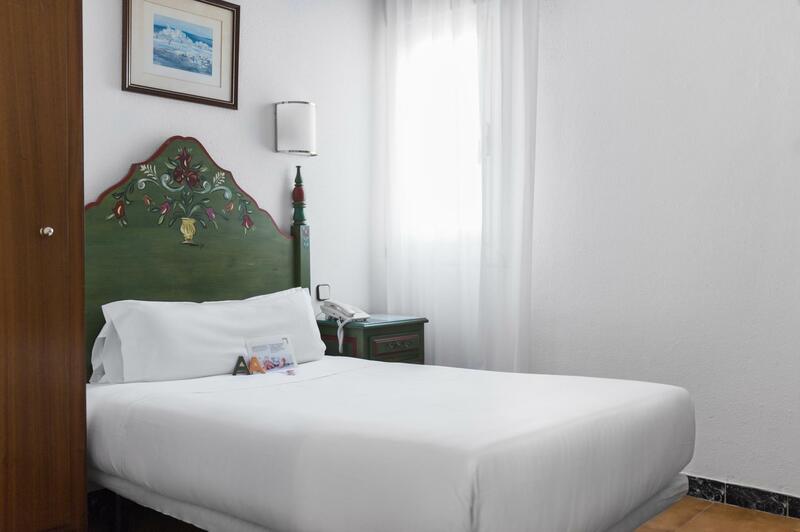 The hotel rooms are very clean and basic, and have had a certain amount of updating by mixing some of it's older charm (murals, statues, interesting pieces of furniture) which mostly work and add charm. One of the reasons we chose this place was because of the baroque style decorative beds, yet were disappointed to find our room totally updated minus the bed. After explaining this to the receptionist, she kindly said there was one room available, but felt it too small for 2, but let us view it if we would like to swap (we didn't, but loved the bed!) The staff are very friendly and helpful. The only thing that lets this hotel down is the breakfast and the breakfast room is very dour (The room needs freshening up) and the breakfast needs an update - the selection is very weak, with little choice and keep the food flowing (such as the eggs) I believe this hotel could achieve easily achieve 3.5 stars if it just paid more attention to the breakfast and breakfast room. Cleaning service has left behind a water bottle and dirty glasses in our room when we checked in. After that, our room was kept very clean. Bathroom and shower was nice, beds were comfy, but two twins side by side rather than a double and then bunk beds in the corner. Great experience with this hotel. Interesting layout, fantastic location, friendly service from staff. Good Location, but take earplugs. At first I was concerned about the location as there seemed to be so much graffiti and I'm not used to that. But I quickly realized that it was nicely centrally located for all tours and sights I was focused on. Also graffiti is everywhere in Europe. It's close to the university so lots of young people and shops more suited to that age. But it was always busy on the side streets with people walking so I didn't feel unsafe even alone st night. The rooms are the typical small rooms you get in Europe. It was clean and tidy. I asked for an interior type room so the street noise wouldn't keep me awake at night. The buffet breakfast of cold meat, cheese, melon, toast, delicious pastries, etc was good for the mornings when tours started early. The front desk staff were very pleasant and helpful. The only negative thing was the wifi which wouldn't stay connected consistently. I would stay here again, and hopefully if I booked farther in advance I'd get a better rate. I came to this hotel expecting to see heritage hotel. Antique hotel but the rooms aren't. You can hear the people next to your room so no privacy, although all of the guests were very quite and the rooms are spirited three in each row; still rooms need to be redesigned. The place was not to far from two train stations that have different lines so that was a great advantage. The hotel is far enough from the la rambla street which is a busy street but filled with stores and walk through sites. To be fair this hotel deserve to become better than its shape right now. Lovely charming old building with helpful staff English well spoken. We found the location excellent, room was very clean, staff were helpful and polite, we didn't have breakfast as seemed quite expensive for what was on offer. As we travelled with two teenagers, the lack of any stable wifi was annoying, constantly logging in, and when managed to login it was a very poor connection. This was a pain when wanting to book tickets, or generally just check out attractions online or travel plans when planning a day out. The only negative is that when you book cheap through internet, they don't give you the best rooms. Location spot on right next to the Rambles. Rooms clean but dated a good Base nothing more. The hotel is in a great central location, albeit in a noisy corner, but I imagine that would be the case for many hotels in the city centre. The furnishings are authentic, different in every room, very comfortable with good en-suite facilities and mini bar and A/C in room. Breakfast is standard European fare, and plentiful. The staff are very helpful and welcoming, and we remembered the receptionist from our last stay 12 years ago. I would recommend this hotel highly. A 400 metros de la rambla. Bon accueil, chambre impeccable, parking et bon emplacement !